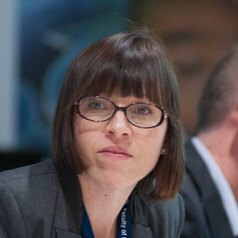 Dr Sara Davies is an Australian Research Council (ARC) Future Fellow and Associate Professor, Centre for Governance and Public Policy, School of Government and International Relations, Griffith University. She is also an Adjunct Associate Professor, School of Social Sciences, Monash University. Dr Davies currently holds two ARC grants – Future Fellowship and a Discovery Project - both awarded in late 2013. Dr Davies is author of Legitimising Rejection: International Refugee Law in Southeast Asia (Martinus Nijhoff); Global Politics of Health (Polity) and Disease Diplomacy (Johns Hopkins University Press, with Adam Kamradt-Scott and Simon Rushton). She is the co-founder and co-editor of quarterly issued journal Global Responsibility to Protect; and co-founder of the blog, Protection Gateway.